Eggleston: 40 Days and 40 Nights? 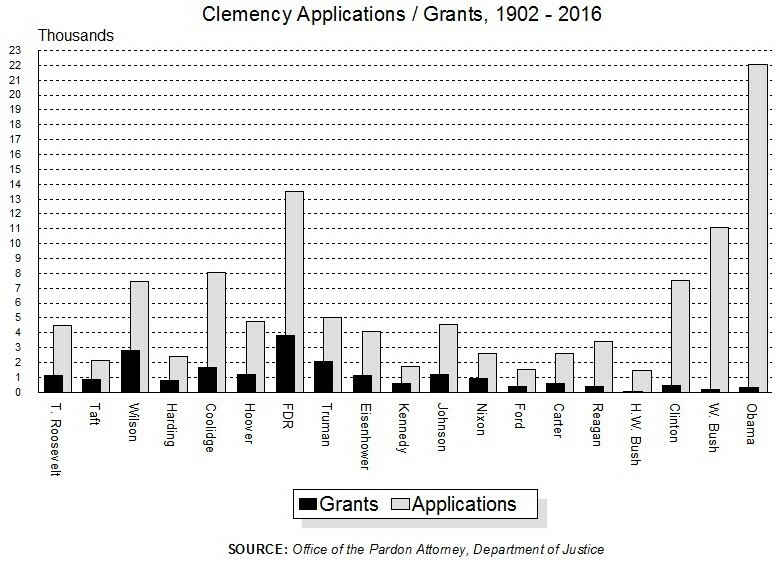 Who would have ever guessed that, a full 27 days after White House counsel Neil Eggleston attempted to shame and cast doubt on the sincerity of anyone who dared to be less than 100 percent satisfied with the Obama administration's record on clemency ... not a single pardon or commutation of sentence has been granted. 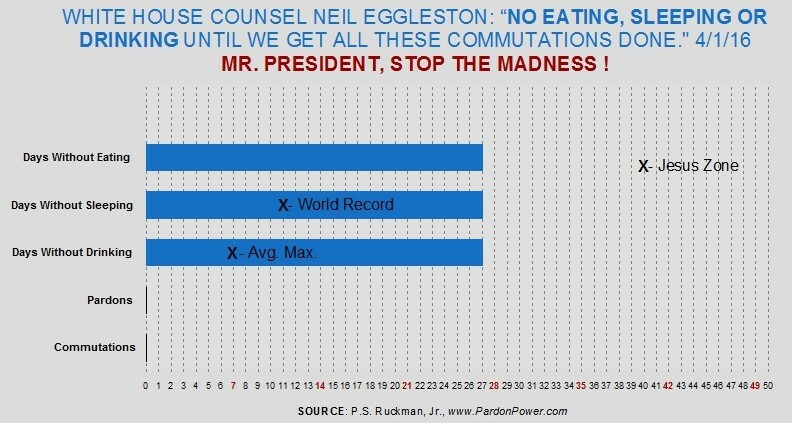 And who would have thought all of this inactivity could possibly follow Eggleston's sincere promise to avoid eating, drinking or sleeping until it is all "done?" 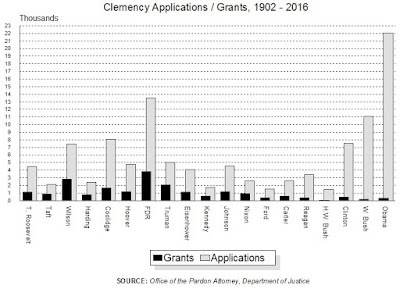 Where is the sense of urgency from an administration that waited almost a full two years before granting a single act of clemency? Does it need more time to think? Dialogue? Where are all of the "second chances" that the Hope and Change campaign promised us? The second term cannot possibly end as poorly as the first - the least merciful term since the presidency of John Adams. If it all comes to doing slightly more than the most recent, neglectful administrations ... that would be tragic. 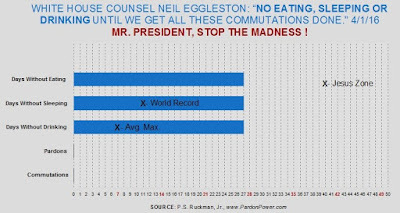 Will the President start the process of Pardons in a "big way" beginning in May 2016?